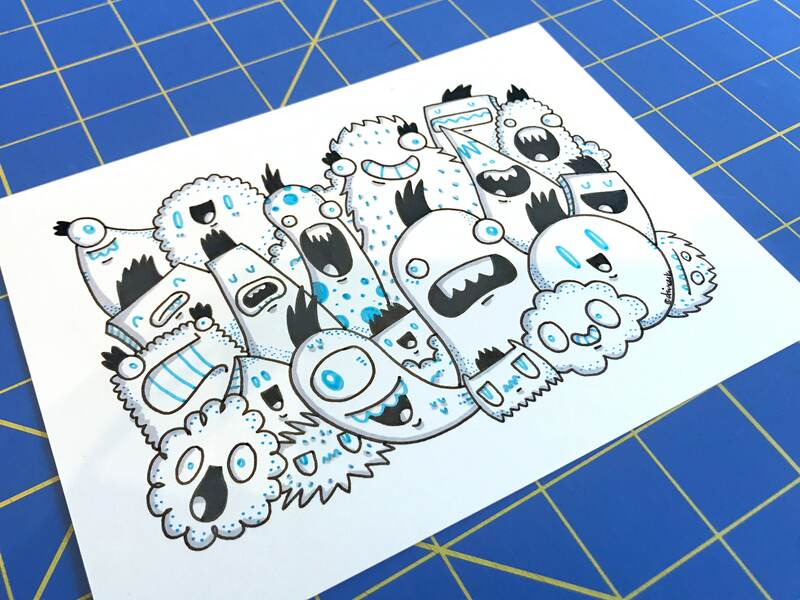 I draw everything in my dzingeek studio. I use premium inks and markers on high quality heavy weight bristol board papers. Signed by yours truly then carefully packed to ensure safe delivery in rigid StayFlat mailers. © 2017 dzingeek all rights reserved. Usage, reproduction, or altering of artwork is not permitted without permission. Each piece of artwork is an intellectual property and is protected by the copyright law. They are so adorable and arrived in perfect shape! :) Thanks! Coffee consumed from this mug is 73% more adorable. At this time I only accept payments through PayPal, which accepts all major credit cards. Payments should be made immediately following the Etsy checkout process. If you are unhappy with your purchase for any reason please contact me through Etsy convo or at dzingeek@gmail.com I will accept returns & exchanges within 7 days of receipt. Refunds will not be giving on shipping charges. Custom orders cannot be returned. If an item arrives damaged, please contact me immediately. Shipping methods vary depending on the size and weight of your order and its destination. All items will be shipped within 2-3 business days of receiving payment. I ship to your PayPal address. MAKE sure your shipping address is correct before placing an order. I am not responsible for missing packages due to an incorrect address. - Custom fees and local taxes are out of my control. Please remember that the colors on your monitor may differ slightly from the printed piece. And feel free to contact me via Etsy convo or at dzingeek@gmail.com with any questions.